As the GPS (Global Positioning System) usage continues to increase, some of the manufacturers are trying to integrate as many features as possible in order to differentiate themselves from the rest. 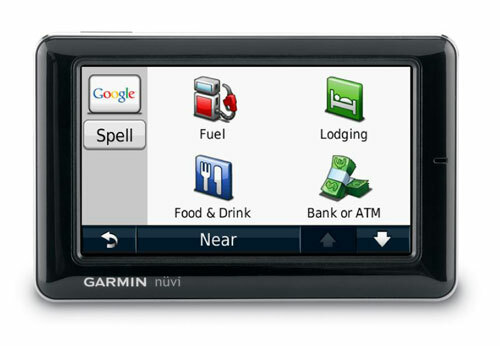 Garmin, the leading GPS technology manufacturer is not exclusive from this. Just recently, the manufacturer has announced its newest portable GPS system, named as nuvi 1690 with enhanced features, specifically designed for those that are looking more than just navigation feature while driving on the road. The new GPS is embedded with wireless capability that can link to Garmin’s proprietary nuLink service to retrieve useful information such as weather forecast, traffic information, flight status and many more through Google local search engine. On top of this, users that can’t live without social networking would definitely appreciate the great feature being added as it can now be used to connect to Ciao!, a social networking service that enables them to search for their closed friends and relatives and navigate to their directions accordingly. Other features include a complete POI (Point of Interest) NAVTEQ database, Bluetooth handsfree mode and even the environmental friendly ecoRoute feature for fuel estimation and saving. Priced at $500, Nuvi 1690 will be released by this year and consumers will be able to get two year of free subscription to nuLInk service and subsequently at an affordable of $5 per month to continue enjoy these features.